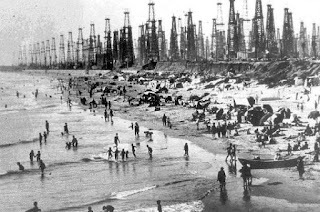 Photos circa 1919-1920 in Huntington Beach, California. From the shores of Huntington Beach, Santa Catalina Island can be seen across the Pacific Ocean on nearly every day. 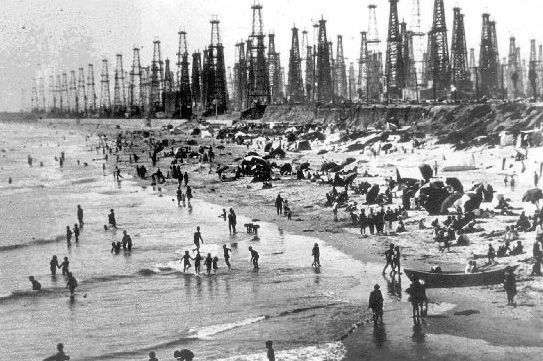 Decades ago, the coastline along the Huntington Beach coast was an oil drilling center in Southern California. 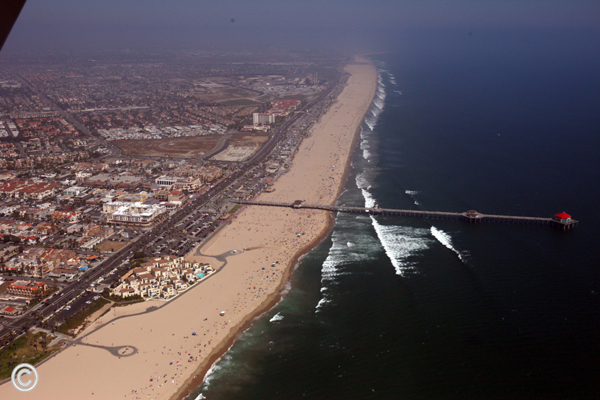 The same California coastline is now a bustling suburb of Los Angeles filled with single family homes, schools, business parks, small shops and restaurants with tourism and sporting events (like the Huntington Beach Pier Swim) as some of the City's most celebrated offerings.